Pave the Way to A Healthy Future for our Willett Community! 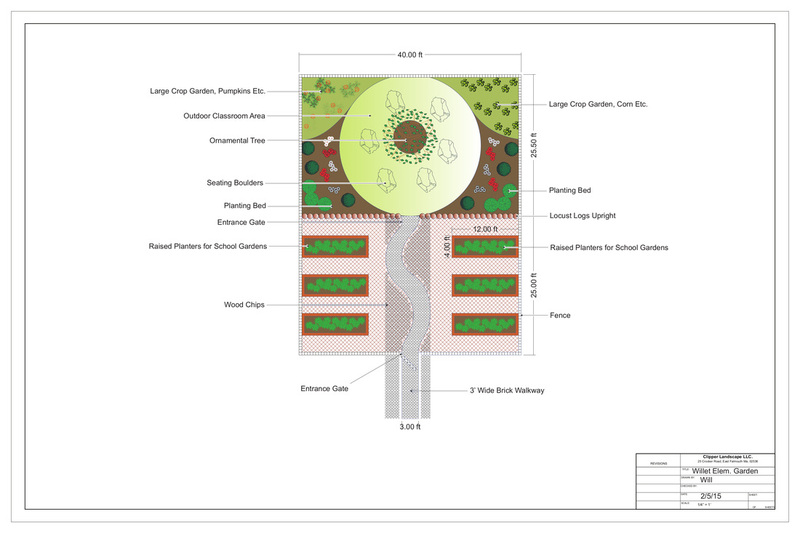 Willett Elementary School is building a permanent teaching garden here on the school grounds, and we want to invite you to be a founding partner in creating a lasting legacy for your children and many generations to come. We have teamed up with master gardeners from the University of Rhode Island, Clipper Landscaping of Falmouth, parent volunteers, teachers, staff and friends of Willett to make this garden—our outdoor classroom— a reality for all to enjoy. The drawing you see is our long-term vision and plan for the garden. You can be a part of this monumental project and pave the way to this beautiful garden by donating a brick engraved with your name and a message, which will become a permanent part of the brick walkway that will wind through the flowers and vegetables! ONLINE: Go to https://www.bricksrus.com/order/willettgarden and follow the simple steps to make your order. If you would prefer a paper order sheet, request one by emailing us at willettgarden@gmail.com. Donate a brick, and pave the way to a healthy future for our Willett community!